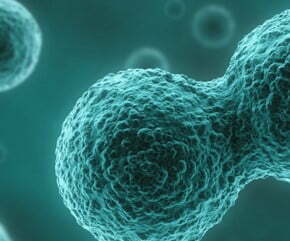 Avise Analytics | Is Autologous Stem Cell Therapy the next frontier of medicine? We take a look at some companies which are engaged in harnessing the power of stem cells to find solutions to seemingly unsolvable medical needs. 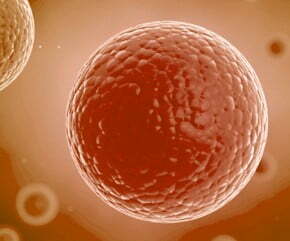 11 Apr Is Autologous Stem Cell Therapy the next frontier of medicine? 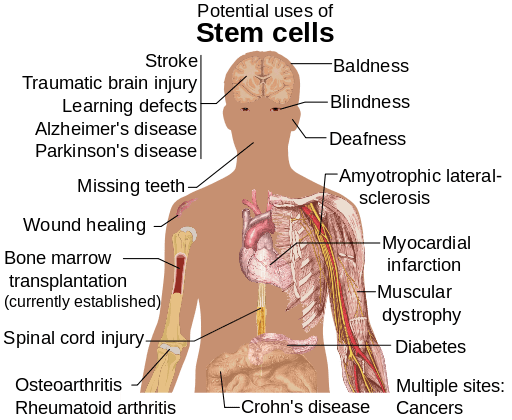 Stem Cell Therapy is emerging as the future of therapeutics for numerous diseases and disorders which have hitherto been unaddressed. The growing awareness of the regenerative powers of stem cells, along with rising research and development expenditure on stem cell technology will drive the growth in the market. However, the lack of proper infrastructure for the collection and preservation of adult and somatic stem cells and the ethical dilemma of collecting embryonic stem cells may hamper its growth. This emerging technology has applications in numerous areas of medicine including treatments for cancer, cardiovascular disorders, brain, kidney, liver and skin related disorders. The challenges faced by organ transplantation such as host rejection, the use of immunosuppressant medication for treatment and the dearth of suitable organ donors is driving the research efforts in stem cell industry. A report by Databridge Market Research estimates that the Global Stem Cell Therapy market will reach USD 15.63 billion by 2025 growing at a CAGR of 9.2% from 7.72 billion in 2017. A pioneer in the stem-cell based therapies and regenerative medicine space, U.S Stem Cell’s clinical protocol and kit named AdipoCell™ helps isolate and preserve stem cells and use their healing prowess for numerous indications. The company not only trains physicians and technicians all over the world in administration of stem cell therapies and protocols but also runs standalone and partnered stem cell clinics. The company has two proprietary stem cell products, the first one is MyoCell®, a muscle stem therapy that is intended to repair cardiac tissue after a cardiac arrest, which uses its cell-culturing process to isolate and nurture myoblasts that can repair tissue damage and restore cardiac function. 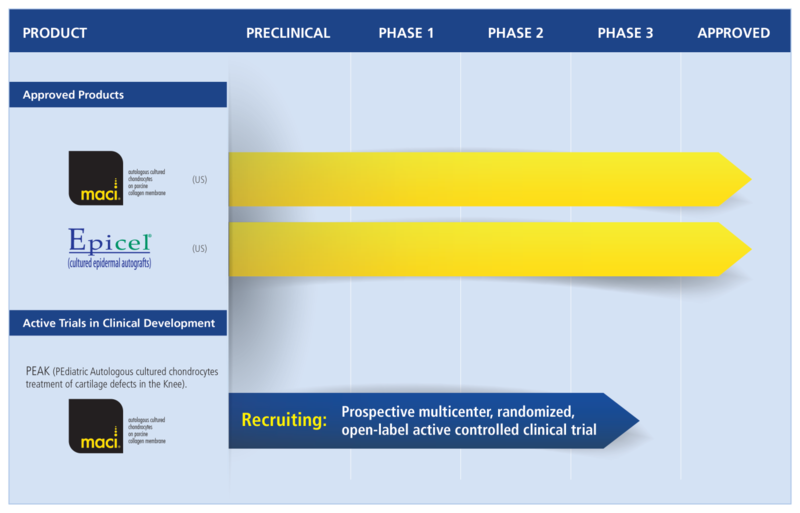 It is currently enrolling patients for part 2 of its phase II/III clinical trials. Its second product named MyoCell SDF-1, makes use of myoblasts with the addition of a gene-modified adenovirus vector that helps in the release of additional SDF-1 protein (stromal derived factor 1). This has received a New Investigational Drug (IND) status from the FDA after demonstrating its potential to enhance blood vessel formation in damaged hearts in preclinical trials. 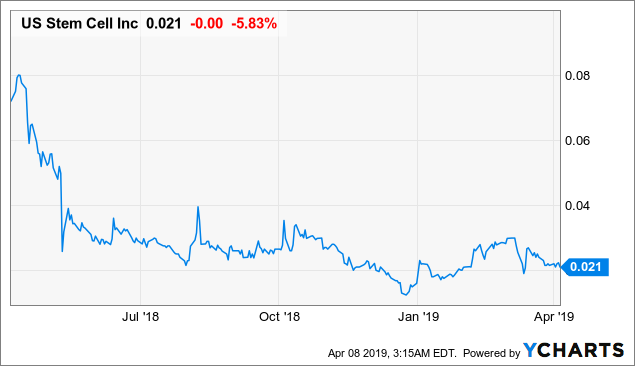 In addition to these, the company is also developing Vetbiologics, a veterinary stem cell products division, stem cell banking and an AdipoCell™ technology for use in patients with chronic ischemic cardiomyopathy for which it is awaiting a FDA approval. 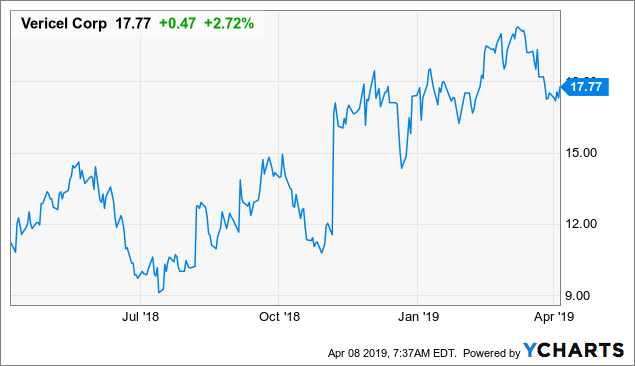 As per its 2018 year-end financial results, the company reported an increase of 21% in revenues from $5.5 million in 2017 to $6.7 million in 2018. This clinical stage biotechnology company is developing autologous stem cell therapies for the skin using a first-of-its kind technology named “CellMist™” system that can harvest a patients stem cell and suspends them in a water-based proprietary “CellMist™” solution that is then used for spraying stem cells onto wound using its patented SkinGun, a liquid spay device that is touted to be the most advanced technology in the world that uses a gentle positive-pressure air stream for dispensing CellMist™ Solution onto wounds. 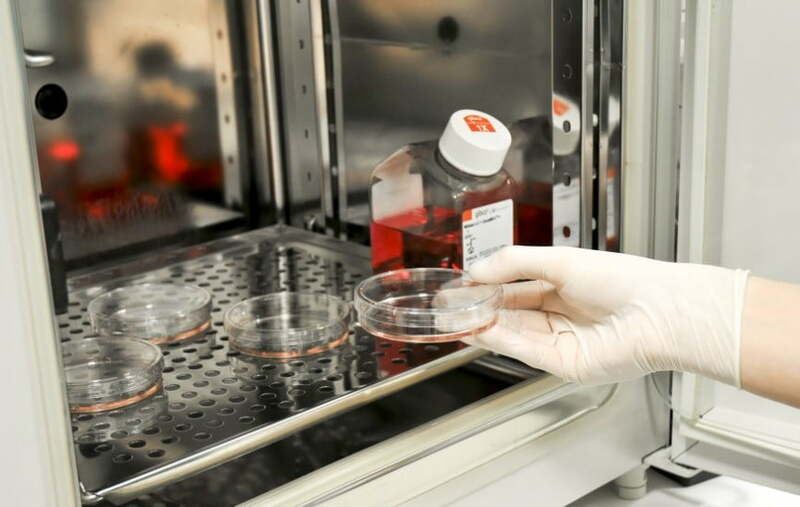 The company’s products overcome the limitations of conventional in-vitro cultured epithelial grafts by not only reducing treatment and pre and post graft hospitalization time but also fasten the recovery process. RenovaCare received an equity financing of $15.5 million from Kalen Capital Corporation, the Chairman Mr. Harmel S. Rayat’s family office, taking his total equity investment in RenovaCare since 2013 to over $20 million. These funds will be utilized for regulatory approval processes and clinical trials. The company won a patent dispute with Avita Medical(ASX: AVH, OTCQX: AVMXY ) in a proceeding at the USPTO and avowed to continue protecting its Intellectual Property Rights against any such challenges. 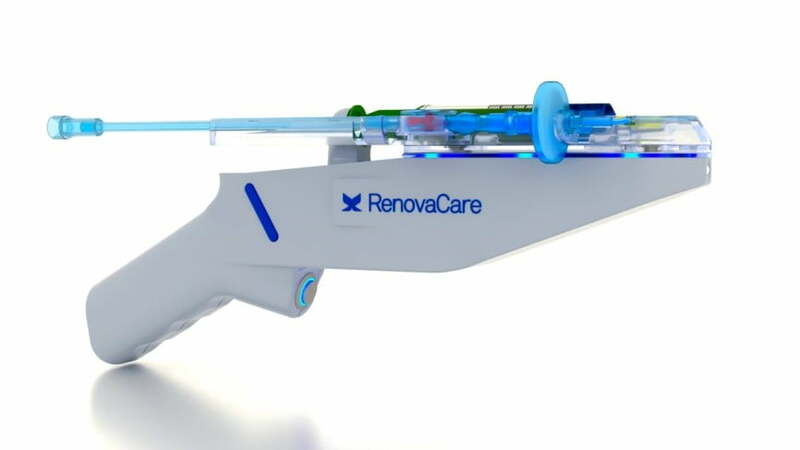 The Company’s RenovaCare SkinGun™ technology was a part of the Tomorrow’s World display at the UK’s prestigious Science Museum in London. BioRestorative is actively involved in developing a treatment for chronic lumbar disc disease caused by disc degeneration and metabolic disorders using a novel product BRTX-100, which uses autologous stem cells to repair cell or tissue degeneration. It is formulated from autologous hypoxic cultured mesenchymal stem cells (or MSCs) collected from the patient’s bone marrow and co-administered with an autologous biomaterial carrier (human platelet lysate). It holds an open IND (Investigational New Drug) which is scheduled for a phase II trial protocol in 2019. 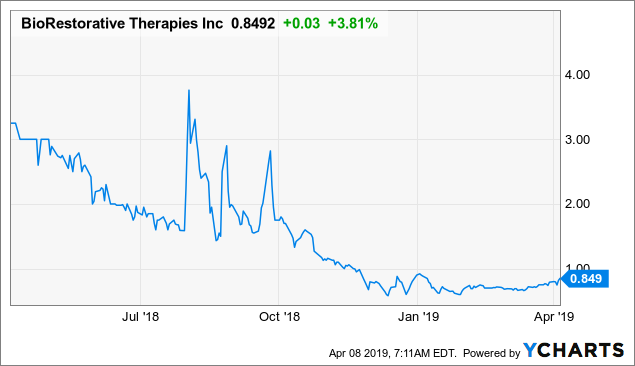 Its proprietary ThermoSterm program that uses brown adipose-derived (“brown fat”) stem cells to generate new brown fat tissue has received a notice of allowance for a key metabolic patent in the U.S, having therapeutic uses in the treatment of degenerative and metabolic disorders. In preclinical, studies higher levels of activated brown fat in the body have shown to improve metabolism resulting in additional calorie burning, reduced glucose and lipid levels. It has also shown to cut down the risk of developing obesity and diabetes. The treatment offers a minimally invasive and low-cost alternative to conventional therapies. Its proprietary formulation offers a robust, scalable and a highly–reproducible process with the advantage of lowered host rejection and infection. A single treatment using BRTX-100 costs an estimated $25,000 which is significantly less expensive than traditional surgical procedures or treatments that stretch for years together. Its technology is protected by IP and legislative protections and enjoys 12 years of data exclusivity under the Biologics Price Competition and Innovation Act. The company has two proprietary programs named MACI (autologous cultured chondrocytes on porcine collagen membrane) intended for treatment of repair of single or multiple symptomatic, full-thickness cartilage defects of the adult knee and Epicel® (cultured epidermal autografts) for skin replacement in patients with greater than 30% deep thermal or full thickness burns. The company is currently conducting PEAK(55-1702-1)(Pediatric Autologous cultured chondrocytes treatment of cartilage defects in the Knee) trails to study the efficacy of MACI® vs arthroscopic microfracture in patients aged between 10 and 17 with symptomatic articular chondral or osteochondral defects of the knee. 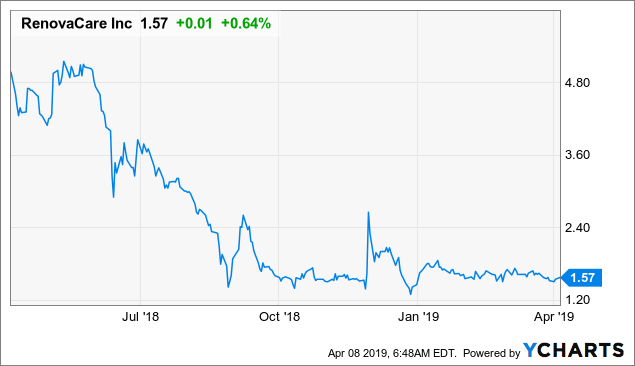 The company raised an estimated $74.8 million through a public offering of 5,750,000 shares of its common stock $13.00 per share. As per its 2018 year-end financial results, total net product revenues were at $90.9 million compared to $62.8 million in 2017, a 45% increase. As of December 31, 2018, the company had $82.9 million in cash and short-term investments as against $26.9 million as of December 31, 2017.